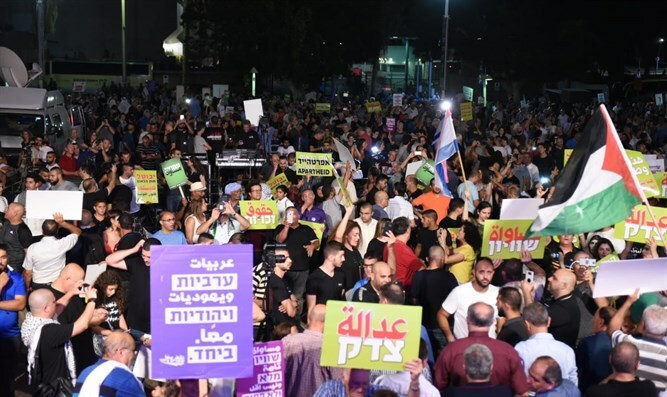 During a demonstration by Arabs and left-wing activists against the Nationality Law held Saturday night in Rabin Square, the song "Where are the Millions?" was played. The song, by singer Julia Boutros, was popular in the Palestinian Authority during the so-called 'stabbing Intifada' of 2015, and encourages violence against Israelis. "In my chest is a [whole] gun magazine, where are you, my brothers? "The fire of revolution is getting stronger and flaring up. We are the victors."